Samsung Galaxy J7 Prime Price, Review, Deals, Cost, & Sales! Home / Compare Cell Phones / Samsung Galaxy J7 Prime Price, Review, Deals, Cost, & Sales! The Samsung Galaxy J7 Prime boasts a compact metal design with full HD screen, 3 GB RAM and a 3300 mAh battery. It comes with a 5.5" PLS TFT screen with 1080 x 1920 resolution and a pixel density of 401 PPI. 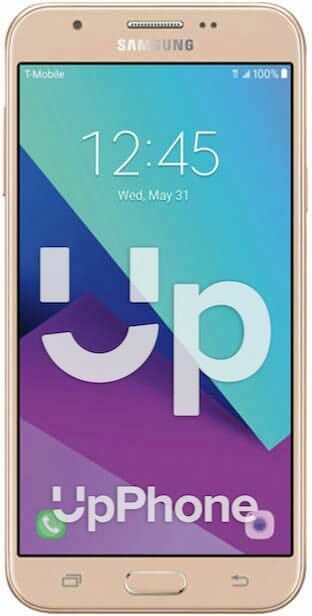 In comparison, the Galaxy J7 has a 5.5" IPS LCD with 720 x 1280 screen resolution and 267-pixel density. This device is equipped with a 13 MP f/1.9 aperture rear camera capable of recording [email protected] videos. It also has an 8 MP f/1.9 aperture front camera. For the storage, it has a 16/32 GB internal drive with support for up to 256 expansion via microSD. While the J7 comes with 16 GB and supports the same 256 GB expansion. This device has a side-firing speaker located at the top right corner. Audio quality is good and can get very loud even in noisy environments. It is equipped with a front-mounted fingerprint reader that doubles as a home button. It works fast and is mostly accurate. The J7 Prime runs on the Exynos 7870 Octa with eight cores clocked at 1.6 GHz. Performance is good with minimal lag times in heavier applications. While the J7 has the Qualcomm MSM8953 Snapdragon 625 with eight cores. Powering the device is a 3300 mAh battery. Battery life is very good with talk times lasting 21 hours over 3G network and audio play for up to 84 hours. It does not have wireless charging nor fast charge. Equipped with a full HD display. It comes with a Corning Gorilla Glass 4. This phone does not support fast charge. The J7 Prime has a fingerprint reader.